You cannot win a Nobel Prize if you are dead. 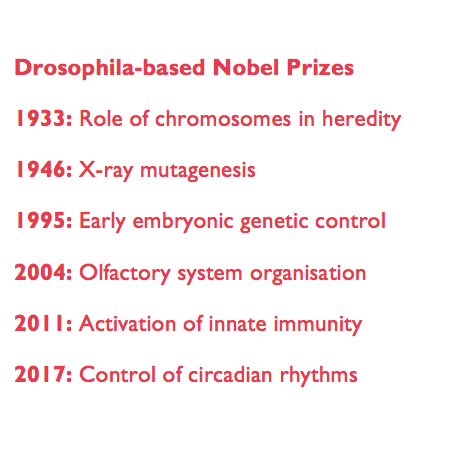 Last year, the Nobel Prize for Physiology and Medicine was awarded for the ‘elucidation of the molecular mechanisms controlling circadian rhythms’, and the living received the credit. But some missed out – some who had passed away, who had been central to the bizarre collection of individuals that helped make the first steps towards understanding not just the genetic basis of our sense of time, but of behaviour itself. The laureates of last year’s Nobel Prize – Michael Rosbash, Michael Young, and Jeff Hall – helped pick apart the genetic basis of the internal body clocks, known as circadian rhythms, which exist in almost all living organisms. Their work was born of a somewhat troublesome union between two different areas of the life sciences: classical genetics and molecular biology. While the former sought to understand patterns of inheritance, the latter used the tools of chemistry and physics to explain biology at the level of molecules. and the succession of graduate students and postdocs that came through his lab at the California Institute of Technology (CalTech). Benzer made his name as one of the pioneers of molecular biology. His students, from the unassuming Ronald Konopka to recent Nobel laureate Jeff Hall, went on to lay the foundations of modern research into the molecular basis of our own innate sense of time. of development in all living organisms. They were then able to create genetic ‘maps’, pinpointing the location of these traits in an organism’s genetic code. not ideal subjects for studies of genetic transmission because, in Benzer’s own words, “it is so difficult to convince them to mate in the right combinations, generations take too long a time, and the offspring are too few.” Flies, on the other hand, get it all over and done with in about two weeks. or even how they worked. as nucleotides could be assembled into our genetic code. The discovery of the structure of the hereditary material ushered in a period of extraordinary discovery. In the space of almost ten years we went from wondering what DNA was made of, to cracking the code of life itself – how a string of nucleotides can become a functional protein. But the uncertainty and excitement of the early days was far from over. Researchers had yet to unravel the genes that determine what we do, and why we do it. To understand these ‘atoms of behaviour’, Seymour Benzer would need the genetic maps developed by Drosophila geneticists over the first half of the 20th century. 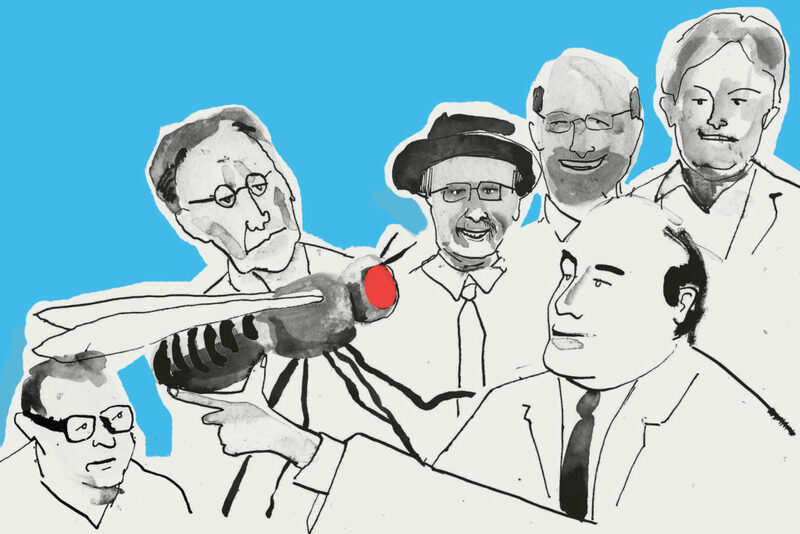 In characteristically direct fashion, Benzer decided he would poison flies to induce mutations in their genetic code and look for any that behaved differently. He could then trace the origins of these mutations to a specific region of the genome. The gene associated with these changes would likely have something to do with the differences in the flies’ habits. This approach, commonly known as forward genetics, would lead him and his students to the molecules that determine behaviour itself. In 1971, Ronald Konopka, a graduate student (and notorious perfectionist) in Benzer’s lab decided to probe the sleep habits of fruit flies. He had seen how fruit flies stop moving around sunset, and start up again as the sun rises, mirroring our own daily patterns of activity. He also showed that fruit flies can track daylight hours even if they are kept in the dark. That is, they must have some internal mechanism that tells them what time it is – a ‘master’ clock. Konopka created mutants that didn’t follow the typical fruit fly pattern of behaviour; some rose early, some late, and others took no notice of the time at all. He then mapped all three mutations to the same area in the genome, which he called period. He had shown three different behavioural outcomes mapped to mutations in three different parts of a single gene. Konopka’s efforts showed how complex behaviour itself could be explained as precisely as any other heritable trait using the language of genetics. Benzer was delighted at this discovery, supposing that he himself was a ‘clock mutant,’ given his habit of working all night and sleeping all day. Jeff Hall had seen Konopka’s seminal work as a postdoc in Benzer’s lab. As an assistant professor at Brandeis University, he used forward genetics to probe the molecular underpinnings of courtship behaviours in Drosophila, in which males buzz and sing and generally prance about trying to get females to mate with them. He thought that there must be a genetic basis for such stark differences in male and female behaviour. Together with his postdoc, Bambos Kyriacou, Hall found that all males sing a song with the same timing; that is, the intervals between tempo changes in the song are the same for all males – about one minute. Seeing such a time- dependent behaviour led Hall to wonder if Konopka’s period gene would play some role in this process. Hall asked him to send over some mutant flies with no sense of time in the post, which Konopka promptly did. Hall and Kyriacou found that those flies on a shorter sleep cycle sang with consistently shorter intervals, while the flies with no sense of time changed their songs seemingly at random. They wondered if both behaviours – courtship and daily routine – were controlled by the same gene; whether period encoded the flies’ actual sense of time. an instinct’, as the writer Jonathan Weiner so described. They introduced a functional copy of period into mutant flies with no sense of time. If the flies’ sense of time was recovered, they would know that they had found its genetic basis. By 1984, they had done it – they had found the first ‘clock’ gene. were able to explain how an animal’s sense of time actually works. The period gene encodes a protein known as PER. Levels of PER increase in the cells of organisms until a certain threshold is reached. The protein then shuts off its own production. As levels of PER drop, the gene is eventually turned back on, and PER levels rise again. This negative feedback loop occurs over a relatively constant period that maps closely onto day length, providing a relatively precise internal time reference. This basic principle is shared across all animals. Indeed, PER and its human equivalents have many downstream effects that regulate all kinds of other responses to the time of day, such as activity levels, metabolism, and even wound-healing, as recently shown at the Laboratory of Molecular Biology here in Cambridge. It is a wonderful example of the value of basic biological research using model organisms. Science is, before anything else, a human endeavour, imbued with all the failings of humans themselves. It is filled with stories of fraud, hubris, jealousy, and more than anything, disappointment. Despite his seminal discovery, Ronald Konopka never gained widespread recognition, or even a tenured position. Hall himself had to leave science early after failing to get funding for his work. Seymour Benzer died in 2007; Ronald Konopka in 2015. 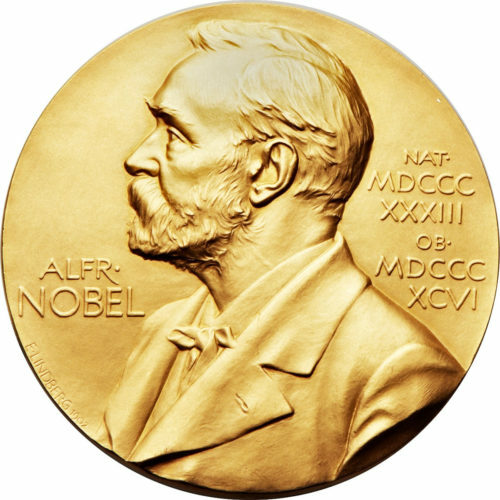 For them, as for Jeff Hall, the award of the Nobel Prize came just a few years too late. Previous Post: Why Limit Ourselves to Silverware?